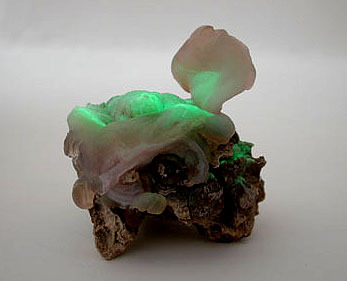 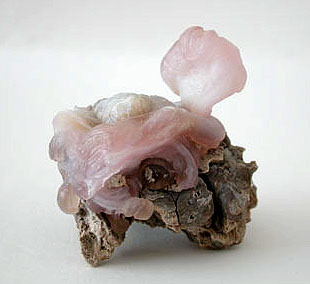 Description Unusual glassy, creamy to slightly pink coloured fan intertwined with matrix rock. 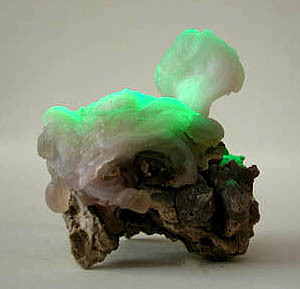 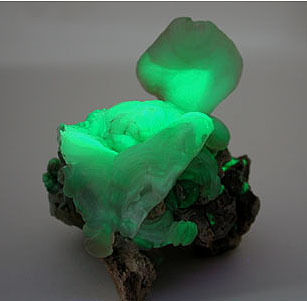 Interesting show of bright greenish colours exhibited under short wave U.V.light. 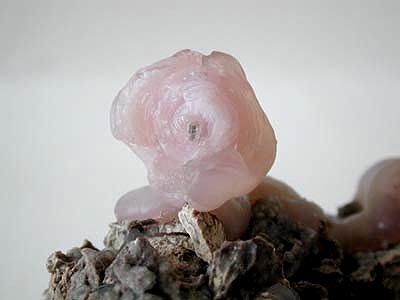 Largest crystal "Fan" size is about 23mm across.